Andrew Matarazzo plays the role of Gabe in the second part of season 6 of Teen Wolf. 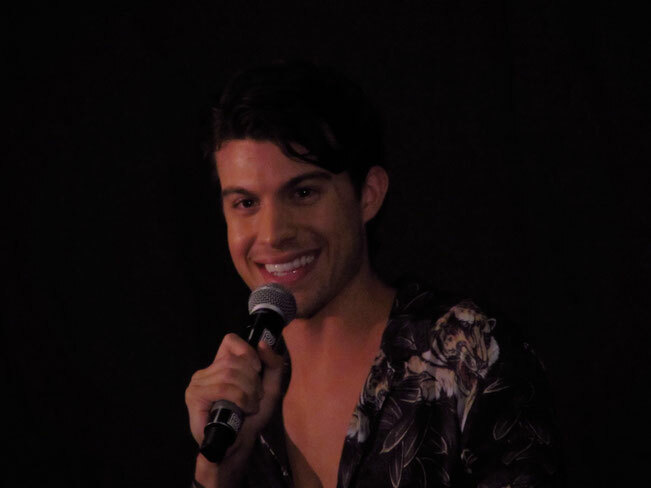 Because of his role as Gabe, he was one of the guests of Wolfcon 4.0. Wolfcon is a Teen Wolf convention, held in Amsterdam. Organized by the Con Factory. We were happy to attend the event. But also to attend the press event: A boat trip on the canals of Amsterdam. During the boat trip we got the chance to interview Max Carver, Ryan Kelley and Andrew Matarazzo and ask them everything we wanted to know! Are you curious about his answers? Keep on reading! We got on the boat on Friday evening. We had already left for Amsterdam on Friday morning. SO we already had the chance to visit Amsterdam a bit more. Around 8 PM we entered the boat and Andrew was the first one to be interviewed by us. He immediately recognized from a video we made form him that we posted on Twitter. That already showed how involved Andrew is. He communicates a lot with fans via social media, responds to questions, likes photos & comments and also remembers who he talked to. It was great to have an interview with this lovely and down-to-earth guy. 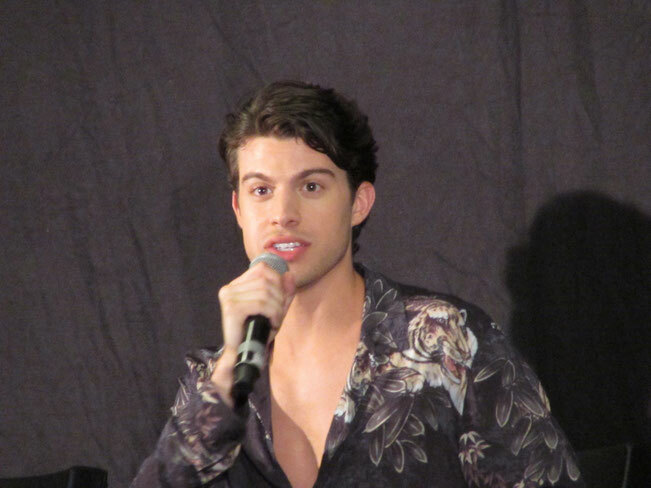 We had a lot of fun Want to see the interview with Andrew Matarazzo? Check out the video below. Since we also attended the WolfCon event, we also saw a lot of panels with Andrew. He was just as enthusiastic as he was on the boat. It was a lot of fun to watch his panels. He's great with his fans, really pays attention and seemed happy to answer all the questions. He motivated people to not be shy and just come to the mic and ask their questions. We saw Andrew in quite some panels! He did 2 panels together with Froy, 1 with Gage, a panel alone and 2 group panels! We'll share some of his answers and facts about Andrew with you here! Did you know this already about Andrew Matarazzo? Andrew has a small tattoo referring to his 2nd favorite movie: This is England. He's not planning on more tattoos any time soon, because he might need to cover them up for acting. His favorite movie is "Stand By Me", followed by (as mentioned already) "This is England. Andrew knew he wanted to become an actor after he watched River Phoenix in "Stand by Me" at the age of 13. River Phoenix was 14 years old, when he made that movie and this made him realize he didn't have to be an adult to pursue his acting career. He only later found out that River died because of an overdose. Another one of his favorite actors is Heath Ledger, who also sadly passed away. On the question if they (Froy and Andrew) could do accents, Andrew responded that he likes doing a British accent. Especially when he needs directions on the road: People tend to be more helpful if you have a British accent. Even at school he would pretend that he was British and he pulled it off one time. The teacher of that class thought Andrew was British, for the whole year. When asked about his skincare routine, he answered that he mainly drinks a lot of water. If he could choose a superpower, it would be teleportation. His favorite animal is and owl. The second favorite would be a jellyfish. If he could only eat 1 thing for the rest of his life, it would be sushi. He loves museums. He mentioned he is a real tourist, when he visits a city or a country. Andrew mentioned he really wanted to visit the "Rijksmuseum" and the "Van Gogh Museum", while he was still in Amsterdam and according to his Instagram he did. His favorite thing about himself is his sense of humor. He doesn't like cockroaches. One day when he lived in Florida, he woke up with one on his face. His advice: Don't compare yourself to others. You might need 10 years for big success. But someone else might reach it in a year, but have very short success. During our interview Andrew already mentioned that he loves DC and he always wanted to be Robin, but if he had to choose a Marvel character to be he would choose Night Crawler or Storm. The live version of the song "Miami 2017" by Billy Joel, really makes him feel alive. "Colours of the Wind" (from "Pocahontas") is his favorite Disney song. His little brother was a big fan of "Teen Wolf", so he had already seen a lot of it when he auditioned for it. One of Andrew's favorite scenes in "Teen Wolf" is the one where Gabe beats up Nolan (s06e19) in the hospital. He says they had a lot of fun on set that day. He mentioned that he maybe had some more fun than Froy (who plays Nolan). He also loved the last episode and his death scene. If he had to pick a funeral song for Gabe, it would be Glory and Gore from Lorde. When he was asked to describe his character in two words, he said: Lost & Impulsive. Andrew thought a lot about Gabe's backstory and where his anger and anxiety must have come from. 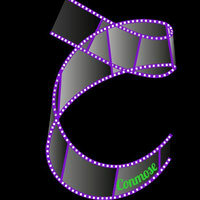 He tends to do that with a lot of the roles he auditions for or lands. With Gabe he had to fill in a lot of blanks, also because they only received one script at a time, so he did not know anything about what was going to happen to Gabe. He actually thought about a whole backstory of why Gabe was the way he was. He thought Gabe's father was a priest and always told Gabe he was good for nothing and that is why Gabe followed the huntress blindly. He just wanted to fit in. When Andrew first read about his death scene, he became really nervous, because it was with Cody Christian (who plays Theo). He was afraid he was going to mess up this great story arc for Theo. What also made him nervous was that a lot of the other cast members like Froy (Nolan) and Melissa Ponzio (Melissa) were there for the scene. But Jeff Davis (director) gave him a lot of confidence by explaining that he wouldn't give him such a death scene, if he didn't think he could pull it off. Also during the shooting of the scene Cody Christian was very supportive and told him he was doing a great job. They shot a lot of the episodes at night, so they would get a call to come to set pretty late in the day and filmed the whole night through. If Andrew could be any other character from the show, he would want to be Stiles. We loved meeting Andrew Matarazzo and hope to see him in some new projects really! 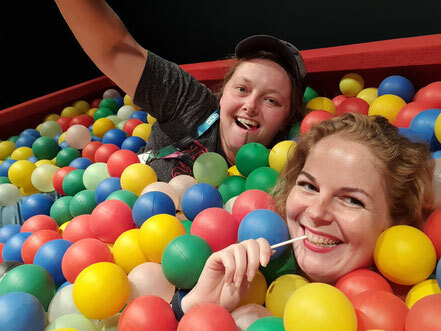 How was your WolfCon experience? Share it with us in the comments!